I am going to describe a preparation with clay and magnesium oil which has helped many people to relieve inflammations, infections, aches, cramps and pains. It involves using bentonite or green clay and magnesium chloride oil. Sodium bentonite clay can be used as an alternative to green illite. Clay is a natural healer, helping to relieve pain, draw out impurities, bust infection, help reduce inflammations. Clays are natural sorbents, so help any “wet” conditions, such as eczema, ulcers, infections, pustular formations, by drying and cleansing them of any impurities. It is a natural disinfectant – this especially can be said about smectite clays – like sodium and calcium bentonite, green montmorillonite and illite clays. However, green illite is also a very potent clay and can be used for this purpose. The theory behind the antibacterial/ antifungal property is that clay envelops bacteria and fungal infections, depriving them of oxygen, water and nutrients, causing them to die. 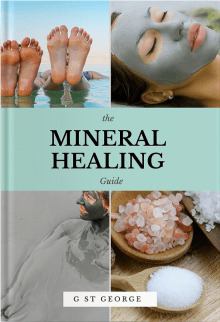 This infection-busting property of clays has been used with great effect by natural healers for many thousands of years. More recently, there has been scientific research conducted on the MRSA bacteria. The research showed that green clay eradicated the bacteria where antibiotics fail. 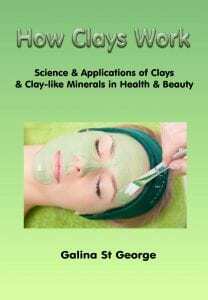 Why hospitals are not using clays routinely, based on that research and thousands of years of clay use, with remarkable results, is unclear. We can only guess that it may take many deaths and years of approval before clay finds its way into our hospitals. Clay interacts with the body in its own unique way which is not always possible to explain in scientific terms. It gives the body its own billion-year-old energy, and the body responds by healing itself. As for magnesium – it is a very important mineral needed for over 300 body processes. People suffering from inflammations are normally severely deficient in magnesium. Applications of magnesium compress, as well as using magnesium sprays and baths helps to relieve many painful & inflammatory conditions. Magnesium chloride is a natural disinfectant, being a salt, so enhances infection-busting properties of clays. The preparation involves using equal amounts of clay and magnesium oil mixed with water (1:1 ratio) to create a paste. The paste is then applied to painful areas or inflammatory sites. The place where the clay/magnesium paste has been applied needs to be wrapped with cling film and a scarf and kept this way for 1-2 hours. More water can be added to magnesium oil prior to mixing the paste. Such compresses need to be applied daily until pain and inflammation subside. 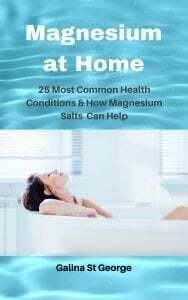 Magnesium oil can be made at home by mixing equal amounts of magnesium flakes and clean warm water. It is also more economical. I must add that the thicker the layer, the longer it needs to stay in place, and the stronger the effect. Clay and magnesium can be used in equal proportions in a bath. 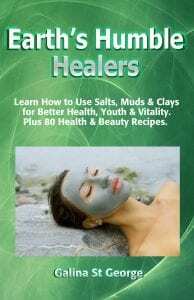 I would suggest using about 500g of magnesium chloride flakes and 500g of your favourite clay per bath. This would have a more general effect and is suitable for conditions associated with serious toxicity. A foot bath could be used too – about 100g of each product, per 5 litres of very warm water. This would be a great recipe for people with diabetes, since it would stimulate circulation in the area, and could help deal with diabetic ulcers. Any information and recipes on this website should be treated as information only, and not as a prescription or replacement for medical treatment. Please consult your medical practitioner for the suitability of any natural remedies, especially if you suffer from a medical condition and are on medication.